Video production is a complicated task, but we wear the producer’s hat with pride. We have the knowledge, expertise and creative drive to bring your video to life, according to your vision. We’ll work with you through every step of the process, from the concept and storyboarding through to the finished video. 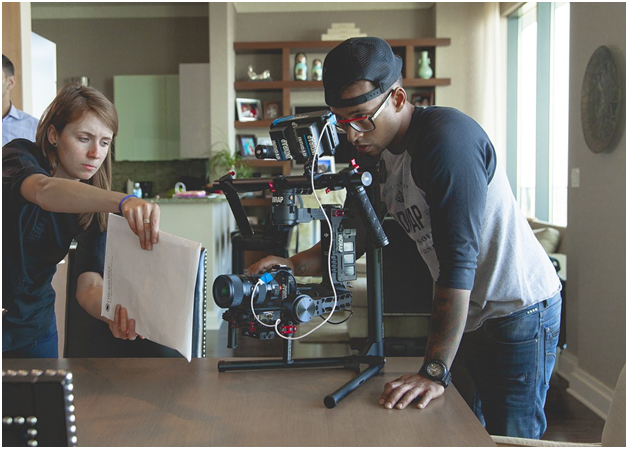 There are many stages of the video production process, and our team is ready to handle your challenge. Here are some of the typical steps in video production. The first stage of the production process involves coming up with a concept for the video. It’s at this stage that we’ll work especially close with you, as it’s the chance to bring your vision to form. We believe the best videos tell a story, and it’s at the conceptualization stage that the story first begins to take shape. It’s the foundation for an engaging and emotionally-driven visual, one that is sure to connect with your audience. Our video producers leverage their creative expertise to help you develop an amazing concept! The scripting stage is where the story gets its legs. Concepts and ideas will be spun into words and directions. We’ll collaborate with you to ensure it’s onside with your vision, and that it speaks directly to your goals. Our creative team excels at the scripting process and are experts at transforming client visions into a roadmap to success. This is where the story meets the cameras. There are many moving parts to this process. Cast and crew are hired, locations are scouted, and filming begins. Whether it’s a live-action or animated video, the process is the same: capturing the story. It’s during the production phase that the story itself begins to take physical shape. Lighting, direction, and sound are all expertly applied to ensure your video will be the best possible expression of your vision. Our video producers are highly skilled at making this process both time and cost efficient! The final stage is post-production, where everything we’ve filmed will be edited and assembled into the final video. It’s here that the final form takes hold, and it’s akin to a sculpting process. The director and video producer will work closely with the editing staff to ensure your ultimate vision has been realized and your story properly told. Several things will happen during this phase. Music and sound will be balanced and added to the visuals, while the film is reviewed to ensure that everything has been perfectly captured. Special visual effects will be incorporated into the mix, titles will be added, and credits designed and implemented, until the final cut of the video emerges. Your perfect, emotive, visual story is ready for release. A video that tells your story, according to your vision, and lovingly created in collaboration with you! Contact us to find out how your perfect video can be brought to life.